Haida roofing has been helping the greater vancouver area with its roofing needs since 2005, although the owner, Kinkaid Dunlop has been in roofing for over 25 years. Since Haida Roofing has been in business they have gained trust all across the lower mainland and continue to grow their client base through hard work. We only use the most highly trained staff that are ready to take on any roofing job that gets put in front of them. Having a high bbb rating proves to our clients that we can be trusted to get the job done right and on time. We have customers that are coming back to use us 20 years later. Our team knows what it takes to get the job done. We have been together since the beginning and will continue to work together until the end. 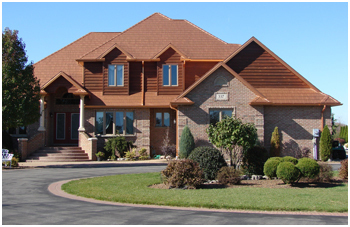 Haida Roofing strives to lead the roofing industry in the lower mainland by providing customers with the best products and top notch customer service. Haida Roofing wants you to come back 30-40 years down the road when you need a new roof. That is why we take such pride in helping out customers rest assured that we are doing the best job in the industry. We understand we are coming into your home to complete our job. We try to be the least disruptive we can be while completing the job in a timely manner so you can get back to your day to day life.